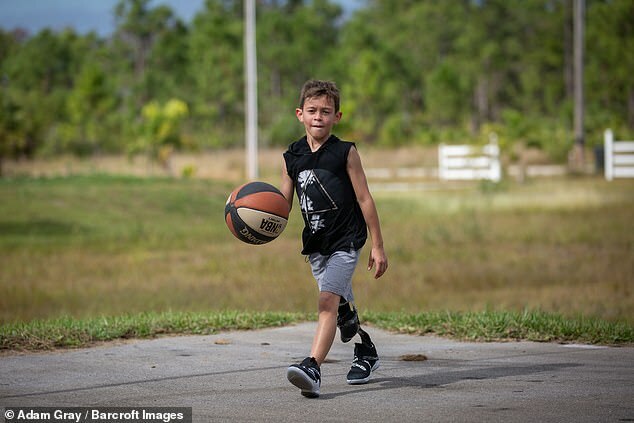 A eight-year-old boy dreams of becoming a professional basketball player after undergoing life-changing surgery to turn his ankle into a knee. Aiden Godoy, of Naples, Florida, was born with proximal femoral focal deficiency, which left him with a malformed right leg. 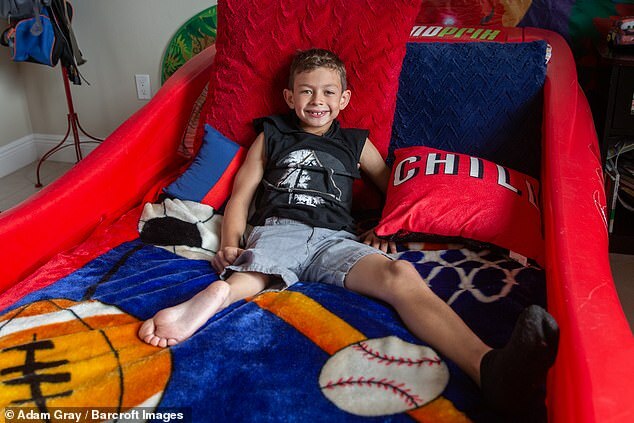 Despite doctors' advice to amputate, the youngster's parents opted for a rotationplasty, which involved turning his lower leg 180 degrees and positioning his foot where his knee used to be. Aiden, who underwent the 14-hour surgery at just two years old, now wears a prosthetic and plays on his school's basketball team. Speaking of his operation, Aiden said: 'My ankle is now my knee. I like my leg because I can be unique. 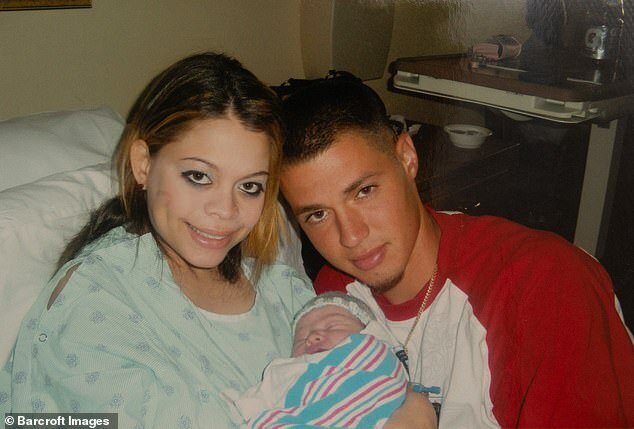 Aiden's parents discovered something was wrong around 35 weeks into the pregnancy. His mother Rosi Cires, 30, said: 'Congenital femur deficiency is a birth defect and it's when you have a difference in your femurs; it's not genetic. Proximal femoral femur deficiency occurs when the thigh bone closest to the hip is too short or underdeveloped. 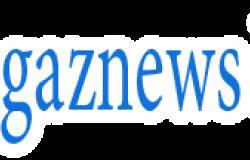 It typically causes sufferers to have an usually short thigh bone that is pulled up and turned out. The knee can also be unstable. Going against doctors' advice, Ms Cires and Aiden's father William decided rotationplasty surgery was the better choice for their son.